Previously the home of Missy French, Lot. 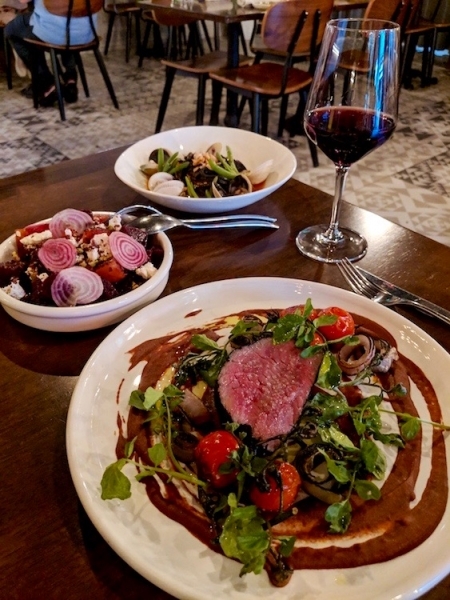 One in Potts Point has become a valued addition to the Potts Point dining scene. Their chic décor and incredible food are instrumental in creating the fine-dining experience Lot. One wishes every patron to have. We started off the night with cocktails by the bar, I enjoyed an East 8 Hold Up, a drink I highly recommend to anyone who decides to venture to Lot. One. My dinner guest for the night, Anna, enjoyed a Tom Collins cocktail. If you’re not too keen on cocktails, Lot. One’s wine list boasts a huge selection of Australian and international wines to compliment every dish on the menu. For starters we had Sydney Rock oysters from Wagonga in Southern NSW ($4 each). Half with granita and half natural. Whilst I usually prefer my oysters natural, the granita was incredible. We also had the Aranchini ($4 each) which seemed to just melt in my mouth. For main, I had the Sirloin ($40) with ash crust, mouli, tomatoes and eschallot. Anna had the Spaghetti in Brodo ($30), squid ink pasta in a shellfish broth, vongole with seasonal seafood and native succulents illustrating Lot. One’s fusion of Australian ingredients. The Beetroot salad ($12), a mixture of roasted and raw beetroot with feta, olives and pistachios, served as a delicious ending to a fantastic main meal. Having enjoyed an incredible meal, we decided to splurge on a dessert. Lot. One offers a number of desserts influenced by iconic chocolate bars that will remind you of your childhood treats. 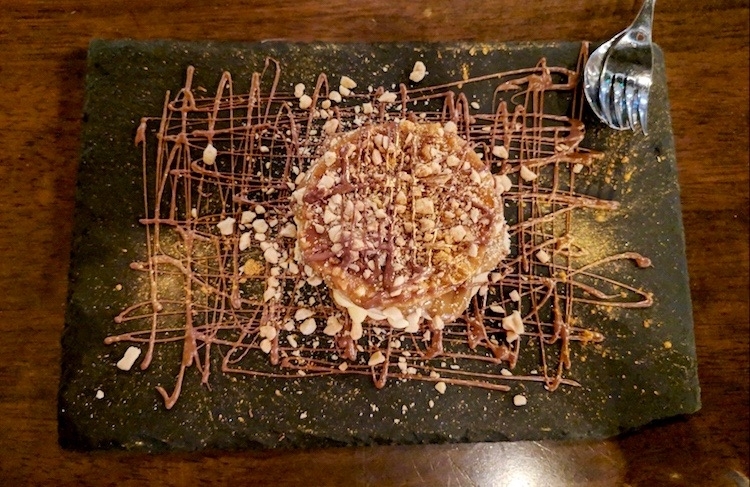 On the recommendation of the co-owner, Michael Bradley, we opted for the Snickers ($14) and were delighted when we were served a delicious ensemble of chocolate, peanuts and caramel. A wonderful way to finish the night! Whether you’re there for an exquisite dinner or for a few delicious cocktails to start off the night, Lot. One has you covered for an incredible night.